Join Citizens for Solar at our Annual Solar Potluck and experience the flavors of solar-cooked food and learn about solar by viewing solar appliances and exhibitions (ovens, fountains, coolers, lights, electrical systems) and solar arts. 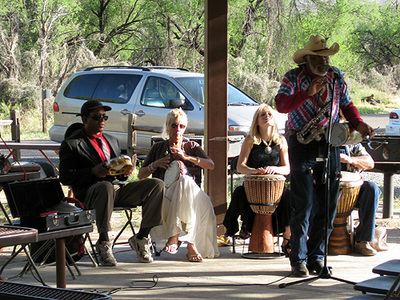 The event is co-sponsored by Catalina State Park, Arizona State Parks. 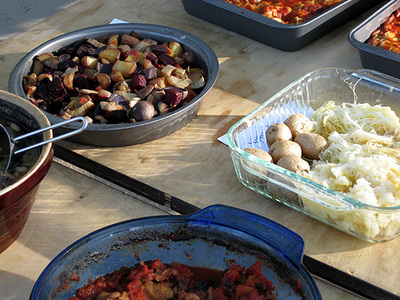 The Solar Potluck is an educational, family-friendly event. Learn about solar cooking, solar PV, solar hot water, energy conservation and other “green” topics. We’ll have speakers and musicians throughout the day on a stage with a PA system powered by solar energy. talk to our vendors and exhibitors, and enter our raffle, where you can win valuable prizes, including a home energy audit and solar ovens. Raffle tickets are available at our concession stand, where we’ll also have Solar Potluck T-shirts and bottled water for sale. 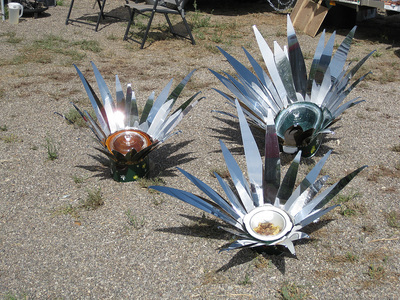 If you are a solar cook, please bring your own solar oven(s) and join us for cooking. The Solar Potluck and Exhibition opens to the public at 10:00 am, but we ask that our solar cooks have their ovens set up by 9:30 am. The Potluck dinner is at around 5:00 pm. All of our guests are invited to join us at our potluck dinner. It’s not necessary to contribute anything, but we encourage bringing a dish to share. Salads, fruit, desserts and other dishes are always appreciated. Bring your own eating utensils (plate/bowl and fork/spoon) and help make Tucson’s Solar Potluck a waste-free event. Make sure you wear comfy shoes, a brimmed hat and sunscreen. The festival will be held come sun, rain or wind! If you have questions or would like more information about the event, please contact Bruce Joseph via email.